Just like any other pipeline through which passes some liquefied matter, even a 3D printer's hotend can get clogged. This article explains the most common causes of this issue, which are usually the same regardless of the printer type or model. We then have a separate article with tips on how to prevent the clog from forming in the first place. The most obvious symptom is that the filament is not coming out of the nozzle. However, please note that the hotend can also be clogged only partially. 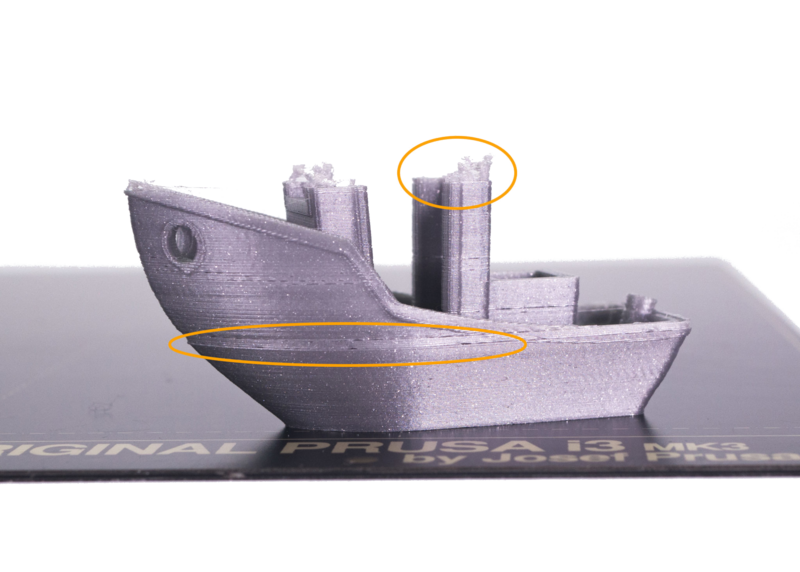 Partial clogs usually reveal themselves mid-print, even after you were able to load or unload the filament. Early signs of the nozzle starting to clog are that the filament is not extruded out of the nozzle consistently or that it's curling and sticks to the nozzle. 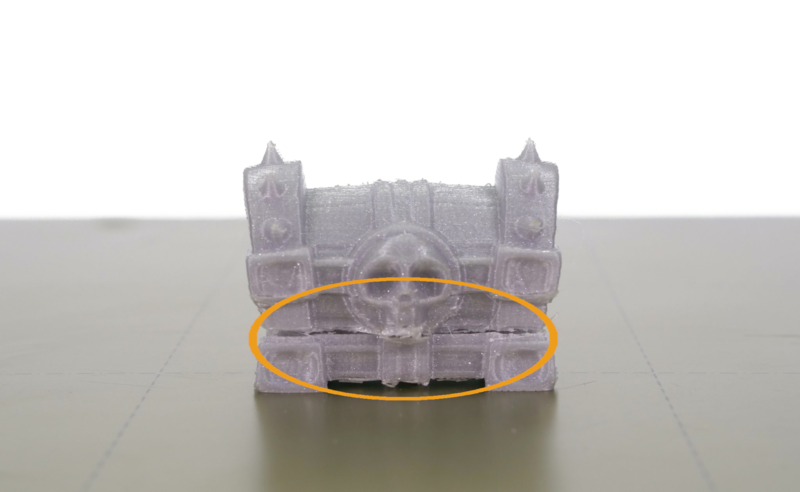 Another common sign is that you can hear some clicking or ticking sounds from the extruder. The extruder clicking noise means that the stepper motor has to exert more force than a specific preset threshold and it's jumping back by one or more steps (skipping) to relieve the pressure. It can be a mechanical issue, electrical issue, software issue, jammed hotend or a combination of any of those factors. It is important to know that having a clogged hotend is not the same thing as having a clogged nozzle. The clog might be located in the PTFE tube (inserted in the heatsink) or elsewhere, so changing the nozzle is not a universal solution to this problem. There are three main methods of dealing with this problem. To choose the right method, see whether or not it is possible to load/ unload the filament. Partial clogs can usually be melted or cold pulled, more complex clogs that prevent even loading of the filament call for the third method described below. Before you begin with any of these methods, unload the filament and remove it from the extruder. To make the work easier, move the extruder head up in the LCD menu -> Settings -> Move axis -> Move Z axis. If the filament can be loaded and unloaded without any problem yet it still causes trouble during the print, clean the inside of your hotend using the cold pull technique. In case it is not possible to load the filament, first, try to soften the clog by increasing the nozzle temperature and then force it out. Go to the LCD Menu -> Settings -> Temperature -> Nozzle. Set the nozzle temperature to 260 °C if you have been using PLA or to 280 °C if you have been using PETG or ABS. After the nozzle reaches the required temperature, wait for 2 minutes - the filament should start pouring/dripping out. To help it, push the bundled acupuncture needle (0,3 mm to 0,35 mm diameter) into the nozzle from below. Be careful not to touch the hot nozzle with your hand! If that did not help, try using a 1.5 mm thick 100 mm long, straight, rigid metal wire: insert it into the hotend to see how far it can go and push on it, trying to force the filament down into the nozzle and then out. You can also use the smallest of the bundled Allen keys. It is not very long though, so remove the filament sensor cover to reach further. Be very careful when manipulating this wire, we don't want to damage the hobbed gears or the PTFE tube. Then try to load a PLA filament, the new string should push the rest of the stuck material from the nozzle. If you didn't succeed, it is important to determine where exactly is the clog located. As said earlier, a clogged hotend is not the same as a clogged nozzle, the material can be jammed even above it. Open the Extruder Idler door and check if you won't see a piece of the filament sticking out of the PTFE tube. If you have an MK2/S, unscrew both M3x40 screws with springs, the door should then open by itself. If you have an MK3 or an MK2.5, unscrew both M3x40 screws under the hexagonal window (they also have springs on them). If you have an MK3S or an MK2.5S, unscrew the single M3x40 screw (also with a spring). If the filament is stuck in the white Teflon tube, you need to take the hotend out from the extruder. Remove the fan, the Extruder cover, and the Extruder motor. You will be left with the hotend exposed, hanging in front of you. Preheat it via LCD Menu -> Settings -> Temperatures -> Nozzle and see if you can remove the filament by pulling it up from the PTFE tube using pliers. Be careful not to touch the hot metal parts! Sometimes, it is necessary to remove the PTFE tube, in which case you need to push the black nylon collet down towards the heatsink, in order to release it. While still pushing down on the collet, pull the PTFE tube out. If the PTFE tube has been permanently damaged by the clog or in the process of removing it, you can purchase a new one in our online store ( MK3S, MK2.5S or MK2/S, MK3, MK2.5) When you insert the new PTFE tube, make sure it is properly secured by the collet again: you need to pull the collet up about 1 mm while, at the same time, pushing the PTFE tube down. This will ensure there is no play as the PTFE tube cannot move inside the hotend. Failure to secure the PTFE tube can cause clogging. If the PTFE tube is empty, some debris might be stuck in the nozzle. Unscrew it from the heater block (check this guide to see how to do that). There are two ways to clean it: mechanically or using chemical solvents. To clean the nozzle mechanically, once it is removed from the hotend, heat it up using a heat gun or possibly a hairdryer, and extract the stuck matter with needle nose pliers or a pair of tweezers. Do not overheat the nozzle, especially not the hardened one, as it might lose its hardening. If you were using PLA or ABS, it will be possible to clean the nozzle chemically. ABS dissolves in acetone and PLA in tetrahydrofuran or ethylacetate. Immerse your nozzle into one of these substances for a couple of hours and then use the needle nose pliers or a pair of tweezers to remove the gooey mass. It is, of course, possible that the filament got jammed in another part of the hotend, for example in the heatbreak. In that case, you either need to purchase a brand new assembled hotend (MK3S or MK3 or MK2/S, MK2.5) or dismantle the hotend and clean every part individually (either mechanically or chemically). Contact us on chat for real-time guidance, we do not recommend doing this on your own unless you are absolutely certain of what you're doing. Before putting the hotend back together, don't forget to apply some thermal paste on the heatbreak thread that is in contact with the heatsink (the same kind of thermal paste used for computer processors).